Slow-selling Tipo compacts were shifted to dealership books. TURIN -- Fiat Chrysler Automobiles dealers in Italy have protested to the automaker after the company invoiced for about 6,000 new vehicles they did not order. Dealerships discovered the vehicles in their dealer management system at the end of February. The vehicles were mainly slow-selling Tipo compact cars and some Ducato large vans. "We were invoiced for a considerable number of Tipos that we did not order. They also had the wrong specifications, making them harder to sell," one dealer said. "We already had a surplus of Tipos." 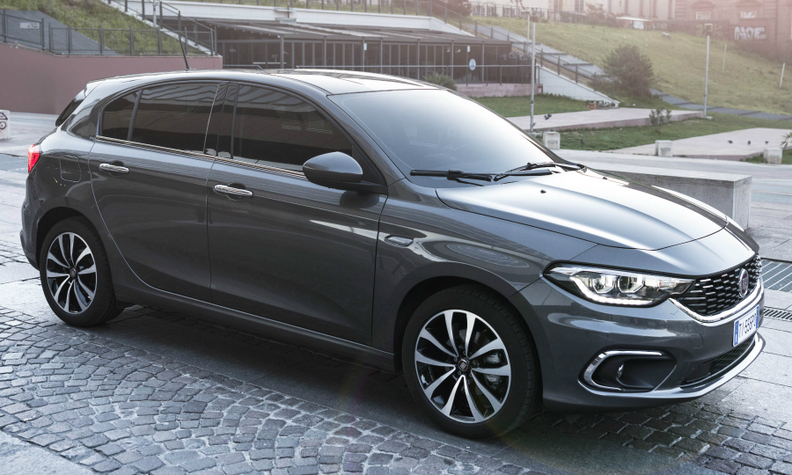 Another dealer said: "Fiat overnight invoiced us for more than 5,000 units of a model that so far this year had sold just about 4,000 units a month." The dealers declined to be named because they are concerned about FCA's reaction. FCA did not respond to requests from Automotive News Europe for a comment. The move shifted about 90 million euros worth of inventories from FCA to the dealers' books. The relations between Fiat brand's 150 Italian dealers and the manufacturer remain tense after the invoicing. FCA's Italian dealer body UCIF protested the invoicing. Its Chairman, Carlo Alberto Jura, said in a letter to FCA that the move was "inopportune" because dealers already have large inventories, in some cases up to 8 months to 9 months of Tipos. Dealers say 1.5 months to 2 months is a healthy inventory size. Jura declined to comment for this article, although ANE has seen a copy of his letter. With the move, FCA increased its s first-quarter deliveries, which are accounted as vehicle sales in financial results, by 6,000 units and consequently increased quarterly revenue by 90 million euros. FCA CEO Sergio Marchionne said earlier this month that the first quarter had been "difficult" for the carmaker. "We had said it would be the weakest of the year," Marchionne told reporters April 14 on the sidelines of a shareholder meeting of truck maker CNH, Reuters reported. FCA will publish Q1 results on April 26. UCIF recommended that dealers ask the automaker for extra incentives to help sell the unordered cars. It also told dealers they should point out to FCA that the invoicing is a clear violation of their franchise contracts. UCIF also advised dealerships to refuse in future to offload from trucks vehicles that they did not order. "Invoicing cars that dealers have not ordered is not common practice in Italy," said Plinio Vanini, owner of Auto Torino, Italy's biggest dealer group, which sold 21,000 new vehicles last year. Vanini's company sells 13 brands, including FCA's Alfa Romeo and Jeep marque but not Fiat. In a letter to dealers, seen by ANE, Pietro Nardi, Fiat's sales director for Italy, admitted that "in some cases the practice had occurred." Italy is a crucial market for FCA, accounting for about 44 percent of the automaker's total new-car sales in Europe. Fiat brand sales in Italy make up about 59 percent of the brand's European volume.